Darren M. Shapiro, Esq. is a trained collaborative law attorney and a member of the network of collaborative law professionals that work with each other to resolve divorce cases collaboratively. For individuals that want to utilize this innovative alternative method to get divorced, Mr. Shapiro can represent you through the process. Here on Long Island and all over New York, The New York Association of Collaborative Law Professionals is integrating streamlined protocols to further make this gold standard of divorce methods even more efficient and reasonable. Whether Darren is representing his clients in the more traditional capacity or collaborative capacity, he always strives for practical and effective resolutions to help his clients transition from their marriage to their new chapter. However, in collaborative law he gets to aid his clients with a team of professionals that work together to craft the best agreements for the transitioning family. While each case can vary slightly with the types of professionals that are selected for the team, each spouse will have their own collaborative attorney, usually also a divorce coach and the team in most instances will have one financial neutral that works with both the husband and wife. Roles that traditionally in the litigation model of divorces are performed by the lawyers are taken over by the other professionals on the team that are more suited for the tasks. Instead of working with the attorney on the budget and any financial disclosures, the clients work with the financial professional who can usually fulfill this task more efficiently than an attorney. The divorce coaches or child specialists, who are mental health professionals, can focus on the custody and parenting plans, with the clients, that make sense for the children and the family. Again, this is another role that in litigation is traditionally done by attorneys that mental health professionals might be more suited to fulfill. The streamlined process can be categorized into four phases. In the first phase the team is assembled. The second part involves collecting the information required. Brainstorming different options and formulating agreements is part of the third phase. The last phase is moving on and creating the rest of your life. You will not need the team for phase four. In the initial phase, if Darren is the first collaborative lawyer on the case, he can help you find any other collaborative professionals needed for your team through the network of collaborative law professionals. A list of names of other collaborative professionals can be provided to your spouse so that she or he can select the right person for them. Here on Long Island, and all over New York, members of the New York Association of Collaborative professionals meet and work together regularly so it is easy to find the right people for the team. How to best implement the streamlined collaborative divorce process on Long Island was among the most recent topics discussed at the regular meetings in the area attended by Mr. Shapiro and the other group members. As the members meet and work with the other professionals in the association regularly it helps to assemble the best team. The same is not true in litigation which is structured as an adversarial process. 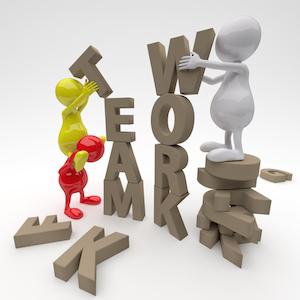 The necessary team members besides each spouse’s own lawyer and coaches are selected and agreed upon by the group. After the team is put together, the information gathering can begin. Clients meet with their coaches, child specialist if there is one involved, and the financial specialist during the information gathering portion. Parenting plans and a preliminary financial report are made at this juncture. After the information gathering is complete the team will move along into the brainstorming and reaching agreement portion. Clients have individually met with their attorneys and coaches to prepare for the full team meeting. At the full meeting different ways to best distribute assets and debt, parenting arrangements, child support and maintenance are brainstormed. Settlement documents are prepared, finalized and signed by the parties. An uncontested divorce package is filed with the court to officially dissolve the marriage and get the parties divorced. Mr. Shapiro became an experienced and skilled matrimonial attorney through years of handling matters in the Supreme Court and Family Court’s on Long Island, New York City, and the surrounding areas. The goal for our office, as either a lawyer or mediator, is to get our client’s issues resolved in the best way possible for them as expeditiously as practicable. People come to us with a situation they need to resolve. We are here to help craft a solution. Some say Collaborative law is the gold standard divorce. Professionals with the skills and background to address the various facets of the case including legal, financial, and emotional work together on the case. Husband’s and wives put the children first. It is a sensible way to transition into two separate households. A collaborative case should be considerably less expensive than a case decided by a judge at trial. Now that the streamlined initiative is being utilized a collaborative case will make even more financial sense. Collaborative law is a graceful way to divorce that works to help get couples to get past their stumbling blocks and make agreements. There is a high degree of compliance with agreements made in the collaborative process. The parties can leave the marriage without bad feelings as is often the case in a litigated matter. For more information about the streamlined collaborative divorce process or other family law issues, please reach out to us. Couples interested in using Mr. Shapiro as a mediator should schedule their half hour free consultation together. Individuals can call about their free initial consultation in office or otherwise. Let us know how we can help. It would be our pleasure to speak with you about it. What Makes a Divorce a Collaborative Case?